Before your taste buds have a chance to decide whether a forkful of food is savory, sour, salty or sweet, your very first impression is determined by its texture. If you get that wrong, flavor won’t matter. Food manufacturers often focus on finding the right combination of ingredients to ensure their flavor profiles are appetizing, but a formulation’s texture is just as important and needs to be a major consideration in the early stages of product development. Products containing dairy have been notoriously plagued with textural inconsistencies, and efforts to replace or reduce ingredients such as milk, cream, cheese, butter and other dairy ingredients don’t always provide the desired results. We’ll take a look at many common textural challenges and tips for achieving desired consistencies in various applications containing dairy. Food manufacturers (and consumers) want each product to maintain the same consistency from the moment it leaves a facility to when it hits store shelves and until it ends up in a customer’s pantry, refrigerator or freezer. Difficulties often arise when that product is in transit or when a product approaches the end of its intended shelf life. Dairy products that should be smooth and creamy can end up with standing liquid on top as a result of temperature fluctuations, while frozen desserts can form ice crystals or become gummy over time, especially if allowed to partially thaw and refreeze. The final cooking process of some foods also can reveal texture problems, such as cheese bursting through a pastry pocket or a sauce or soup forming a skin, and other products containing dairy can develop lumps, sedimentation, pooling or graininess during different phases of their life cycles. 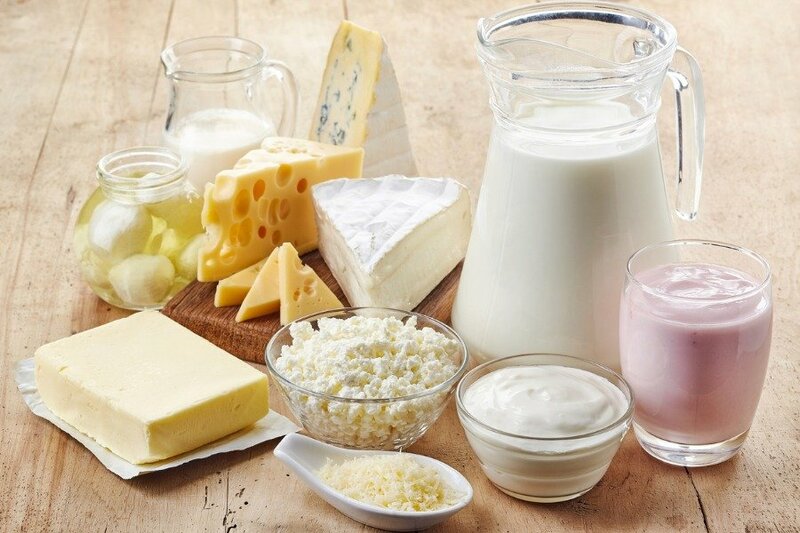 In addition to solving problems with viscosity breakdown, some food manufacturers are challenged with decreasing costs by reducing or completely replacing high cost dairy ingredients in their formulations. Adding to the challenge is that many of the go-to thickeners and emulsifiers that developers turned to in the past made labels look like a laundry list of unrecognizable chemicals and artificial ingredients, which have substantially fallen out of favor with consumers. First impressions matter, and if a food’s texture looks unappetizing and its mouthfeel is “off,” product sales will never get off the ground. Product developers should first consider viscosity and consistency and ensure that a product’s structure will remain stable and perform well in its various life stages. Most food scientists would agree that it’s easier to develop flavor profiles than it is to ensure ideal textures and mouthfeel. Finding the perfect combination of equipment, shear, ingredient flow and temperature is a crucial step in ensuring the desired viscosity and long-term performance of a product. Excessive high-vortex shear can lead to viscosity breakdown, adding powdered ingredients too quickly can result in improper hydration, and excessive or inadequate thermal settings can lead to fish eyes and clumping. Collaborate with your ingredient suppliers to determine proper production methods, and test, test, test. Ultimately, it’s the ingredients you choose that play the biggest role. You can change the temperature setting or mixing speed on a piece of equipment, but if an ingredient is sub-par and doesn’t perform well, it won’t matter how good your equipment or production methods are. When working with alternative ingredients to high cost dairy, you’ll not only want to ensure they’re easy to work with in your facility without having to make capital investments in new equipment, you’ll also want to ensure the final results appeal to consumers. This means finding the perfect combination of creamy mouthfeel, exceptional flavor, improved nutrition and a clean label — all at a price point they can afford. Many food manufacturers that produce soups, sauces, dips, cheese-filled pastries, dressings and other products containing dairy have found Grande Bravo® functional whey protein to be a cost-effective, all-natural ingredient that delivers each of those desired qualities. Its superior water-holding capabilities means it is easily hydrated and can withstand the abuse of most processing environments. And because it is heat and acid stable, as well as freeze-thaw stable, it has a long shelf-life and won’t break down like many other alternative ingredients. For further guidance on improving texture, check out our guidebook to overcoming food formulation fails, including separation, viscosity breakdown, clumping and fish eyes. Just click the link below. Just as important as finding the right ingredient is finding the right ingredient partner. At Grande Custom Ingredients Group, we have a team of collaborative food scientists who will work diligently to help you achieve optimal results. Reach out to us today.